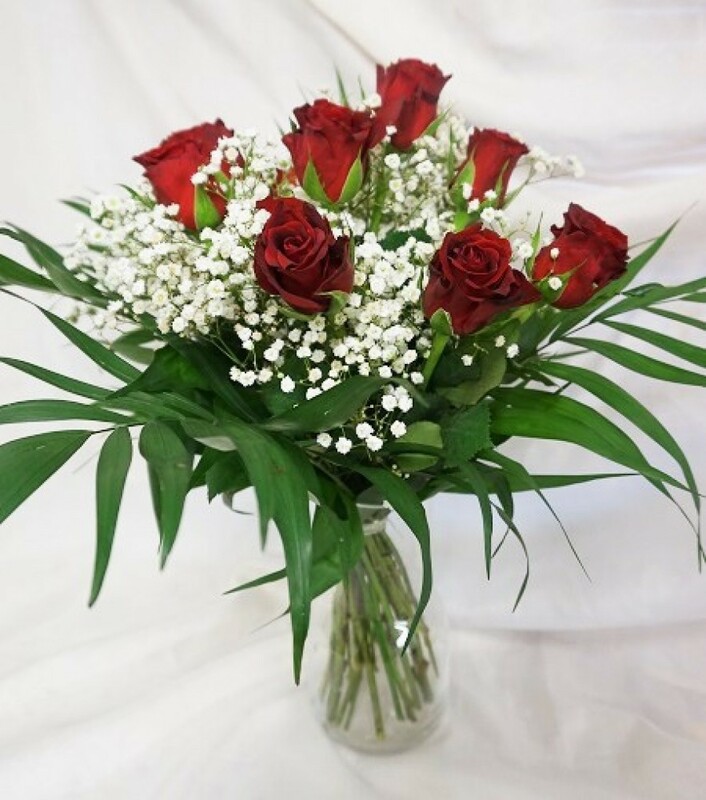 Traditionally the red Rose is a symbol of true love and we are pleased to offer a dozen large Red Roses beautifully arranged and tied and delivered in a glass vase. These beautiful deep red Roses are partnered with white Gypsophilia and green foilage which is carefully selected to complement the true beauty of the roses. As these flowers are delivered in a glass vase with water, there is nothing for the recipient to do, apart from decide where to place them in the house! These beautiful blooms are freshly delivered daily from the auctions in the Netherlands, so you can be rest assured you are sending the best quality flowers there are. Whether it is to say "I love you", "Happy Anniversary" or any other occasion, nothing is as stunning as 12 red roses hand delivered. If you would like any other colour Rose, please contact us on 01328 829781 so we can advise you what other colours are available when you want them.